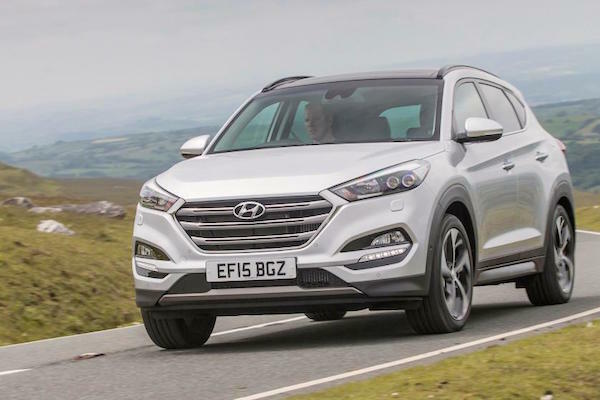 The Hyundai Tucson is #2 in Northern Ireland both in June and YTD. Thanks to SMMT we now have access to the Top 10 best-sellers in June for each UK nation. Keep in mind this data is already included in the UK June monthly update, this is a zoom-in by nation. Only England (+0.1%) is in positive territory this month: Northern Ireland (-2%), Wales (-6%) and, worst of all Scotland (-7%) all register clear drops. Year-to-date though and half-way through 2016, all nations gain ground vs. the same period in 2015 bar Scotland pulled into negative (-0.3%) by the weak June score. England (+4%) is the most dynamic. For the third month in a row, the Ford Fiesta manages to top the sales charts of every single nation, distancing the Vauxhall Corsa in England and Scotland the Hyundai Tucson in Northern Ireland and the Ford Kuga in Wales. 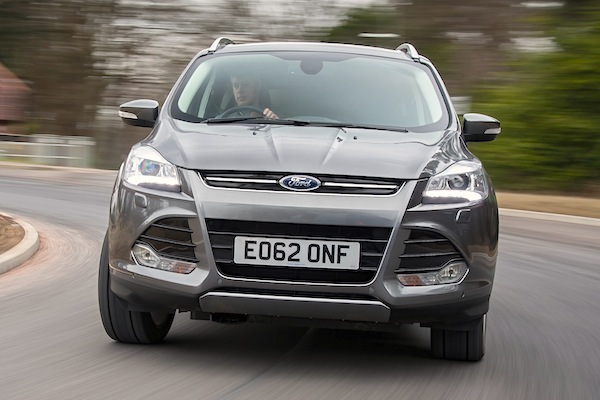 The Ford Kuga ranks 2nd in Wales and 3rd in Northern Ireland. The Mini celebrates its 5th place overall in the UK with a presence in the Top 10 of every nation in June: it ranks 5th in England, 8th in Northern Ireland, 6th in Scotland and 7th in Wales whereas it only ranks in the English Top 10 year-to-date. The VW Golf takes the lead of its segment in England, overtaking the Ford Focus when comparing to the overall UK ranking, while the Mercedes A-Class remains in the English Top 10 vs. #12 in the UK. The Northern Irish ranking is invaded with SUVs: below the Tucson we find the Ford Kuga at #3, the Nissan Qashqai at #6, Renault Kadjar at #7 (and #10 YTD) and Kia Sportage at #9. Scottish buyers still have a weakness for Renault, placing the Clio at #5 in June and the Captur at #10 YTD. Full June 2016 Top 10 models for each nation below.